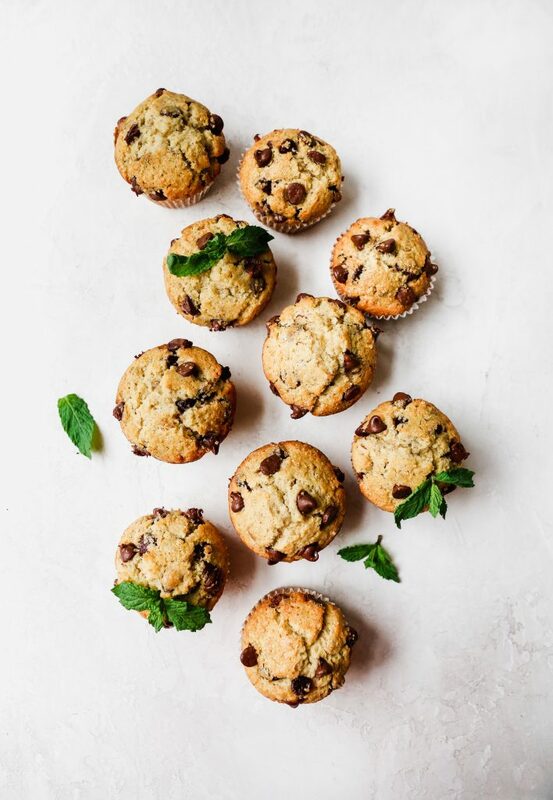 Chilly, dreary mornings like this just DEMAND muffins. I am craving a cozy couch snuggle sesh under a blanket with a cup of piping hot coffee. And a sweet carby snack. Unfortunately, instead I have to tend to two dogs (one of whom is a very young puppy who needs constant supervision) and a 4-year-old who hates the mornings before I rush out the door to a doctor’s appointment. Well, none of that is terrible, I suppose, but the couch plan sure beats it! At least in this moment. You know what would really sweeten the deal? Pun intended? 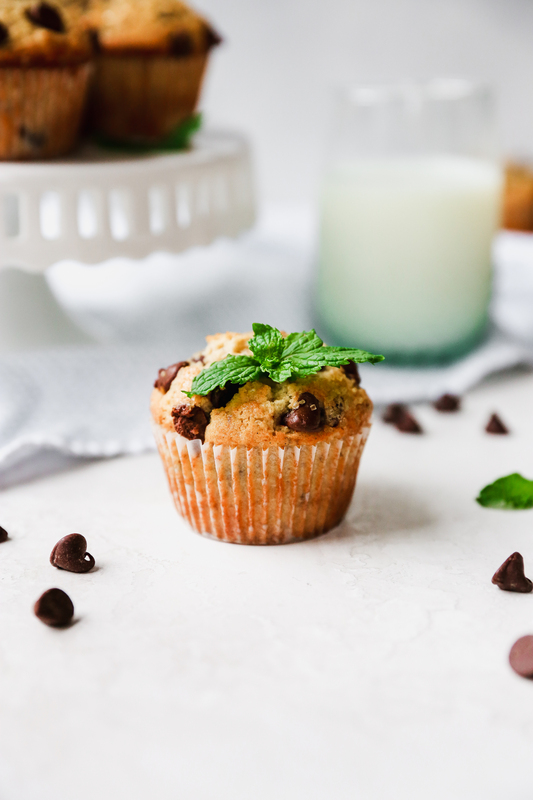 One of these fresh mint and chocolate muffins. Oh my, are these delicious! Especially if you are obsessed with minty things and the chocolate-mint combo, like I am. 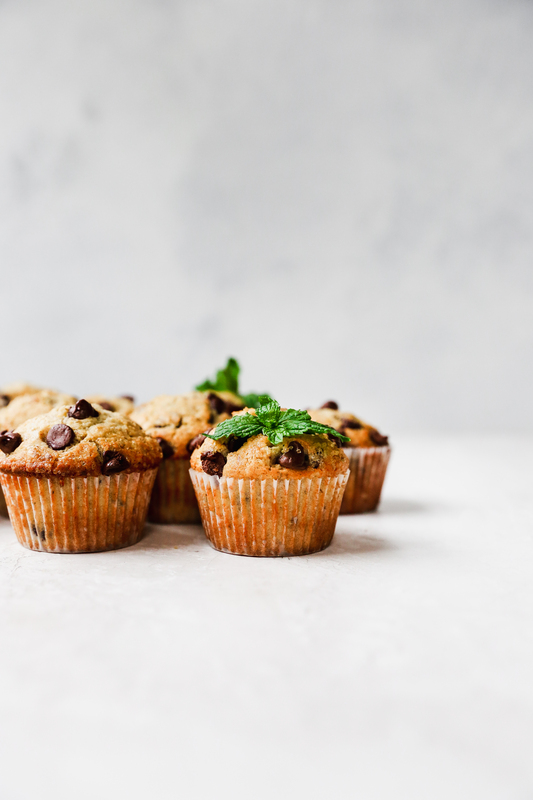 Using fresh mint to infuse the butter for these muffins might be my favorite kitchen hack in a long while. I want to do it for all the sweet butter things! The fresh mint adds the perfect level of mintiness. Instead of extract, which can almost lend a toothpaste-like taste, the mint here is subtle but pleasantly present. When I open up the container of these sitting on my kitchen counter, the first thing I smell is the chocolate. Quickly followed up by the sweet, intoxicating smell of mint. In fact, they smell almost as good as they taste! Because these taste like a dream. 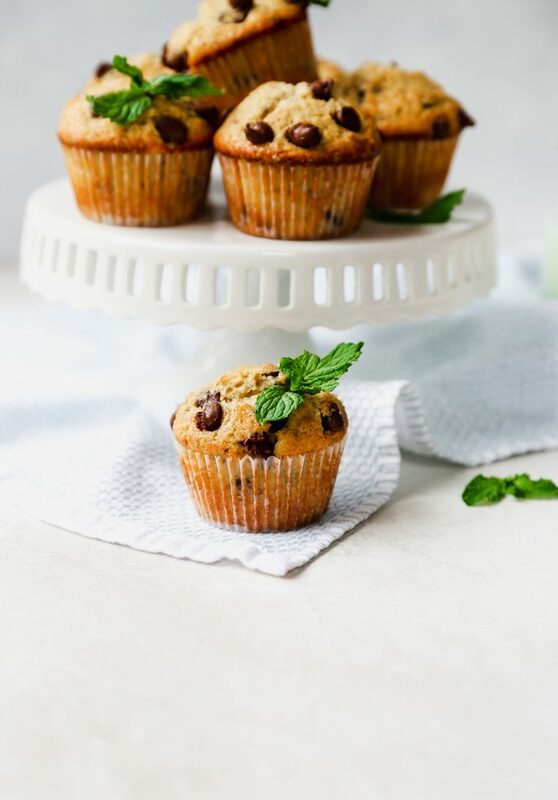 Fluffy, soft muffins studded with rich chocolate and aromatic mint and finished with a crunchy raw sugar topping (a must for almost every muffin I make. If I don’t streusel ’em, I sugar ’em! If you haven’t already, try it!). They are perfection. 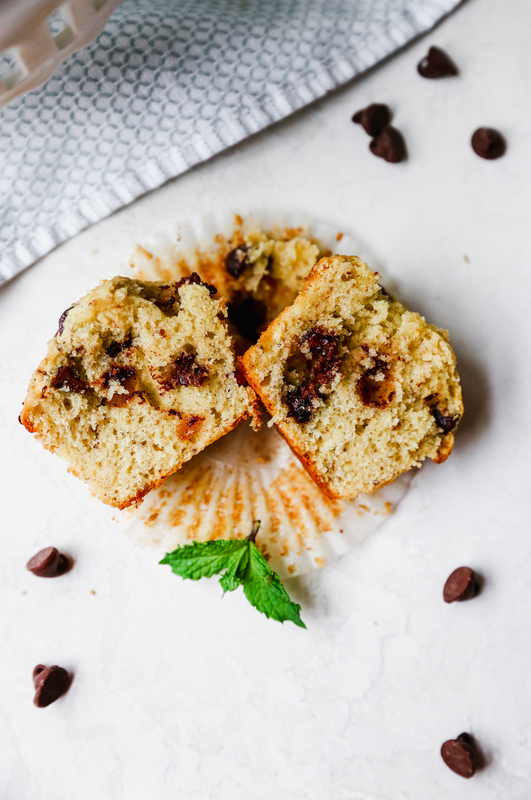 You may notice that the recipe below is pretty standard when it comes to muffins, with the exception of the addition of flaxseed and hemp hearts. I add them to almost all my baked goods. One, they make things retain moisture longer, and nobody wants a dry muffin. Two, they add a ton of healthy fats, fiber, and protein to an otherwise indulgent treat. 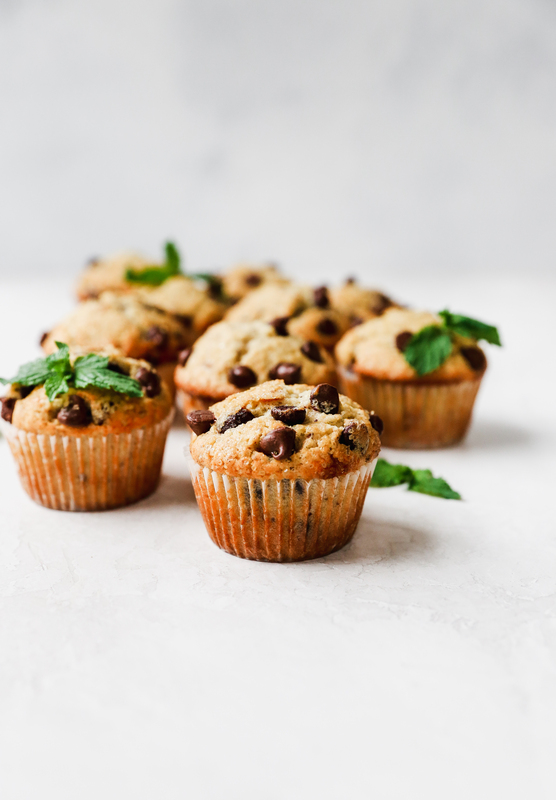 I don’t taste them at all, either, so they don’t take away from the heavenly flavor of these muffins in the least. That said, they are totally optional! 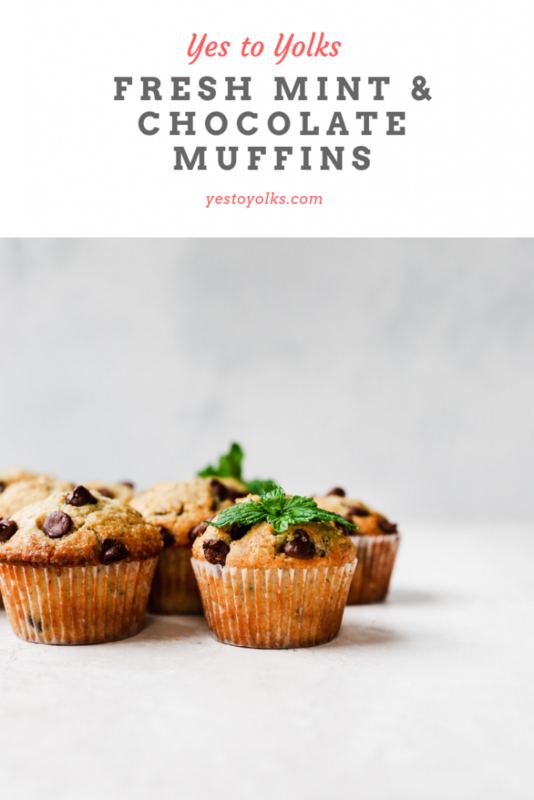 Kieran, who is very picky about everything he eats, particularly muffins, LOVED these (he’s the third reason I add the hidden superfoods to almost all baked goods, hah). He inhaled his first one in record time. I was convinced he wouldn’t like the mint, but because it’s just a little somethin’-somethin’ on your tongue, he didn’t mind one bit. Gobbled it right up and then asked for more! Incessently. For hours. Not that I blame him one bit. I had to actively pretend that these weren’t sitting on my counter. I even covered the container up with a kitchen towel and put a few cookbooks in front of it. Out of sight, out of mind. Except this technique totally doesn’t work with yummy carbs. At least not for me! Not when chocolate and mint are involved! Melt the butter in a small saucepan over medium heat. Once it is melted, add the mint and remove the pan from the heat. Allow the mint to steep in the hot butter for AT LEAST 15 minutes. The longer the better! Mine sat on the stove for about a half hour. Meanwhile, get your other ingredients together and preheat the oven 400°F. Line a muffin tin with paper liners (or grease with butter/nonstick spray). In a large bowl, whisk together the flour, flaxseed, hemp hearts, brown sugar, granulated sugar, baking powder, and salt. In another bowl, whisk together the milk, eggs, and vanilla. Discard the mint from the butter and whisk the butter into the milk mixture. If the butter has cooled and resolidified, just reheat it for a few seconds until it’s liquid again. Add the milk mixture to the dry ingredients and stir gently until everything is just combined. Stir in the chocolate chips, saving a few tablespoons for dotting on top of the muffins. 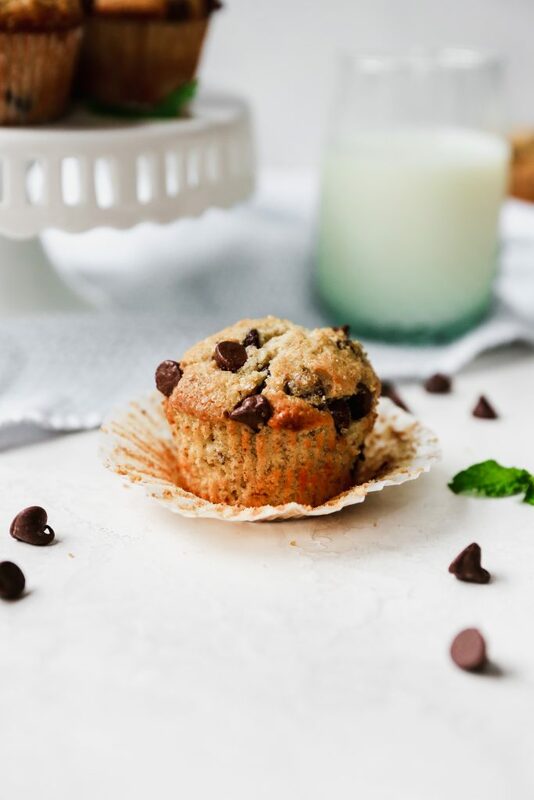 Scoop the batter into the prepared muffin tin and top the muffins with the remaining chocolate chips. 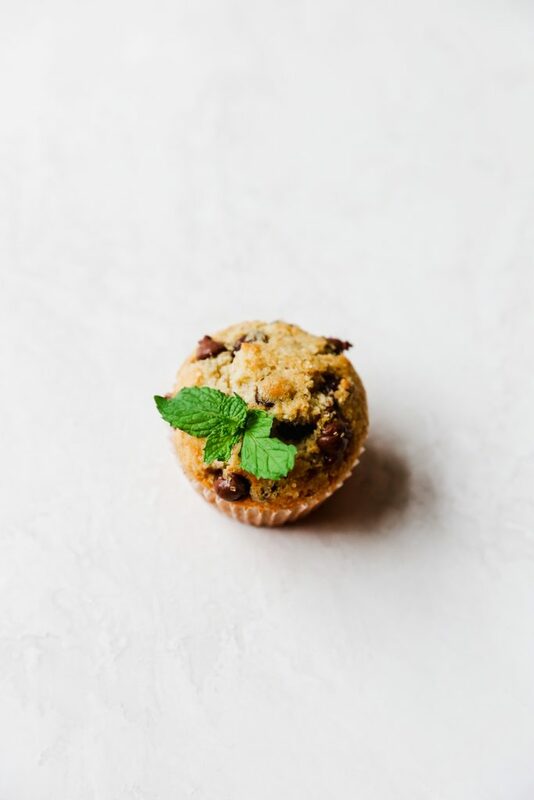 Sprinkle each muffin with a little bit of turbinado sugar (this is optional, but it adds a nice crunch to the tops of the muffins). Bake for 18-20 minutes or until the muffins are puffed, golden around the edges, and set in the center. Cool for a few minutes in the muffin tin and then transfer the muffins to a cooling rack. Serve warm or at room temperature.